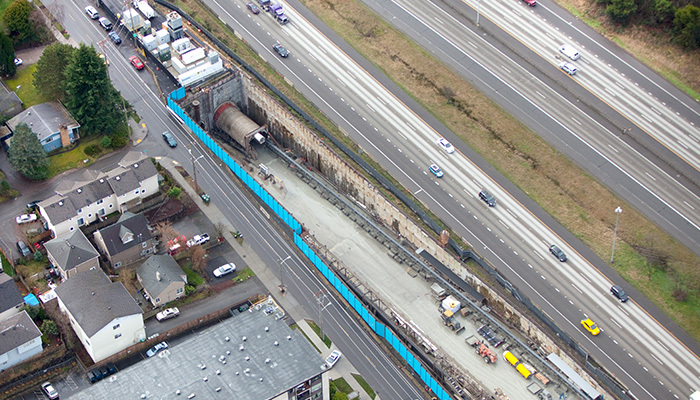 Northgate Link Extension will connect the Northgate, Roosevelt and University District neighborhoods to downtown Seattle and the airport via light rail. 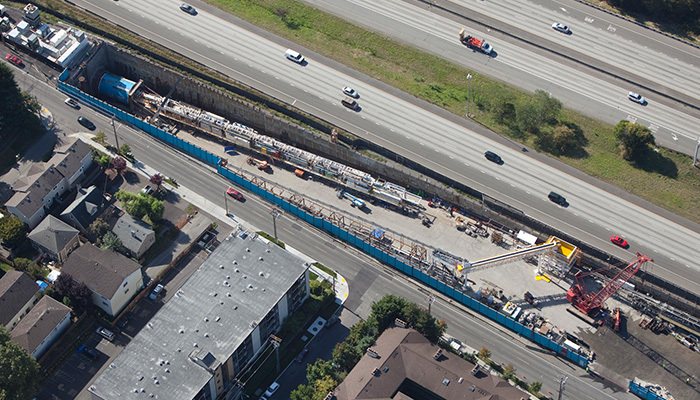 Fast, reliable service will provide relief to one of the region's most congested traffic areas. 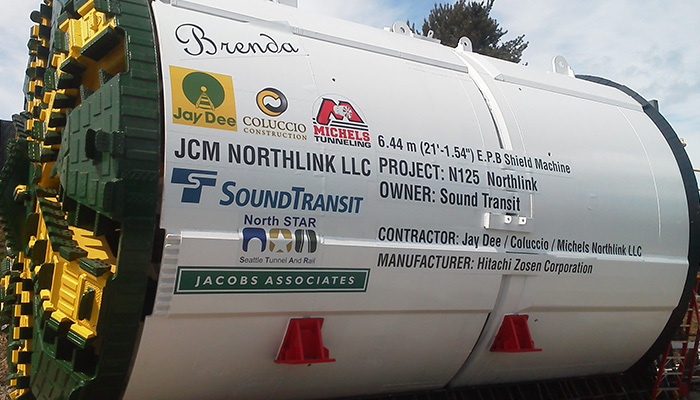 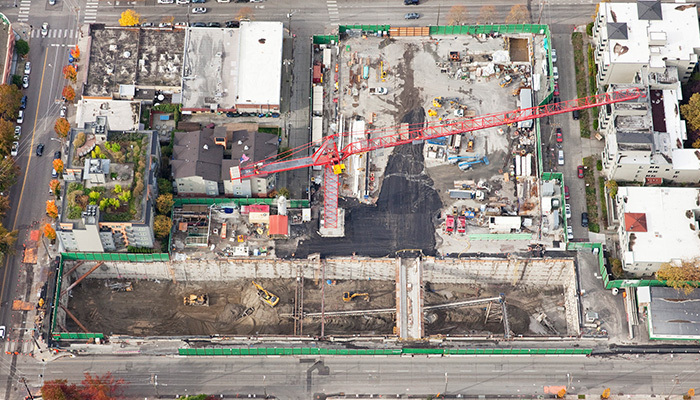 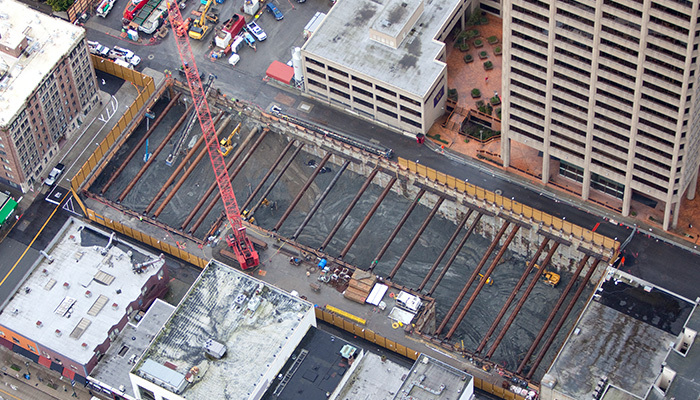 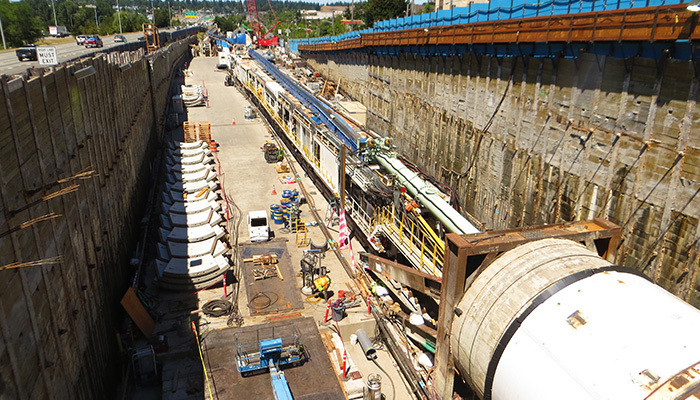 The scope of this project includes excavation of twin 4.3 mile long light rail tunnels, excavation for 3 light rail stations and the construction of 23 cross passages to connect the twin tunnels. 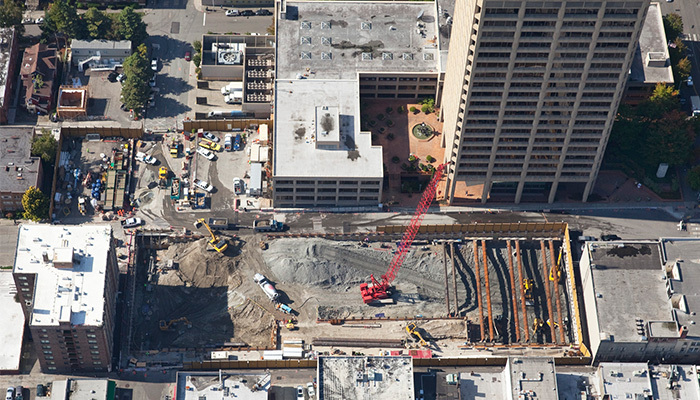 The predominately glacial tills with high ground water pressures present challenging ground conditions which require the use of diaphragm walls, secant piles, sequential excavation method (SEM) and ground freezing. 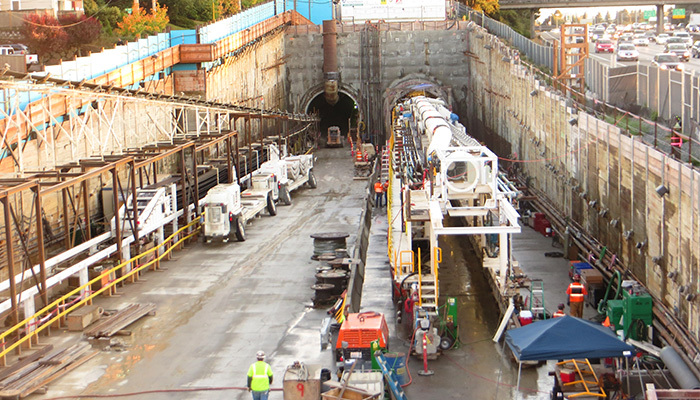 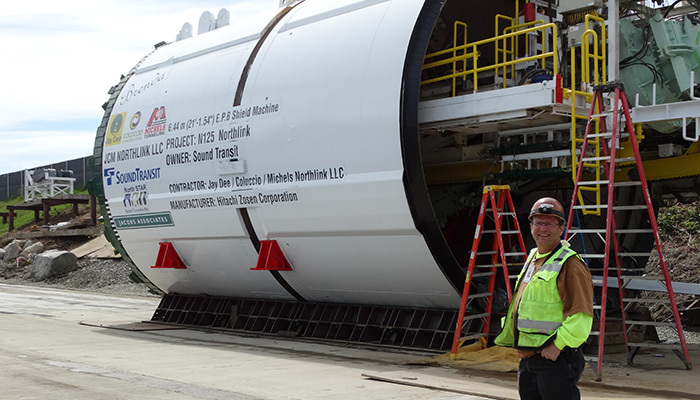 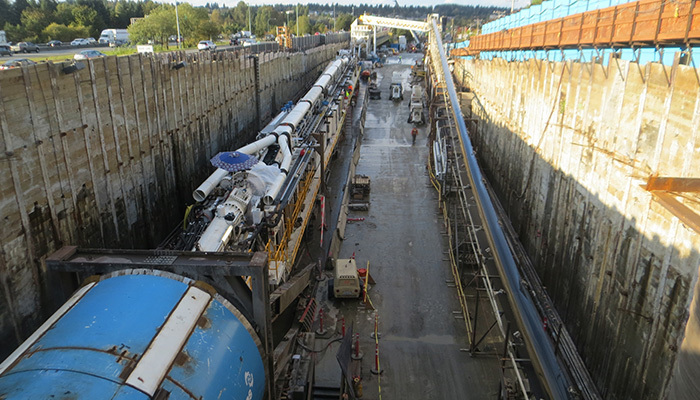 The twin tunnels are being excavated simultaneously with the use of earth pressure balance tunnel boring machines (EPBTBM) and supported by a precast concrete segment primary liner. 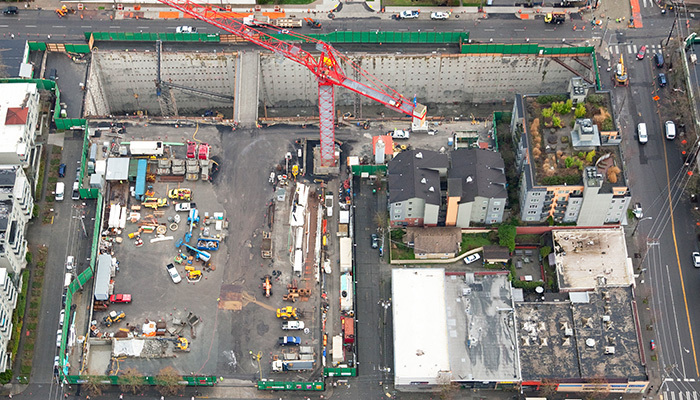 The highly congested urban areas the project is located in require extraordinary coordination with the local communities and various government agencies including the University of Washington.